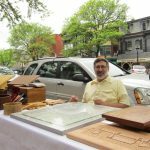 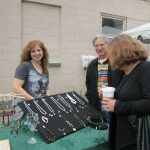 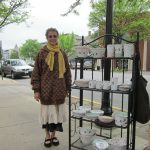 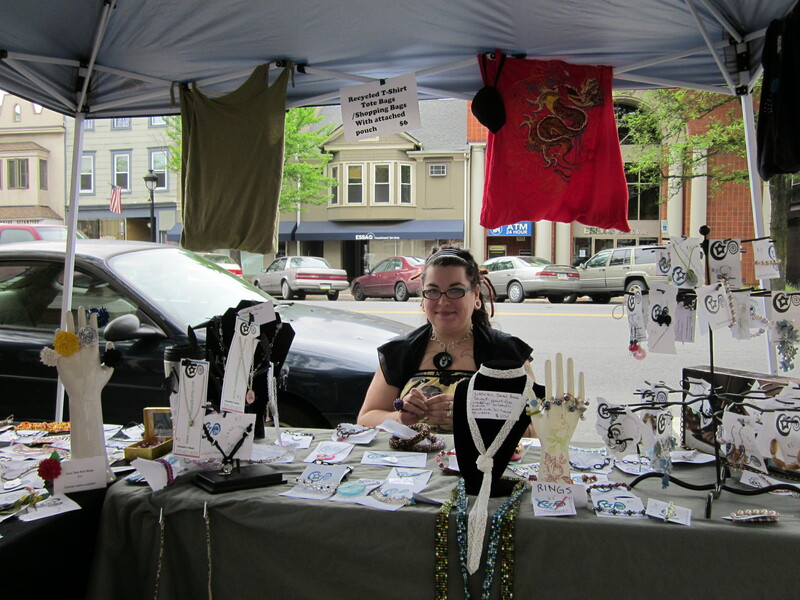 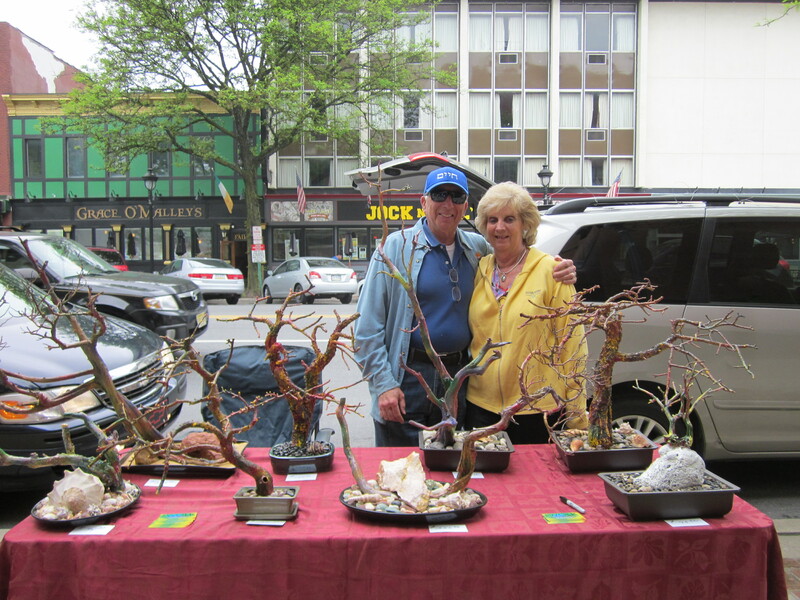 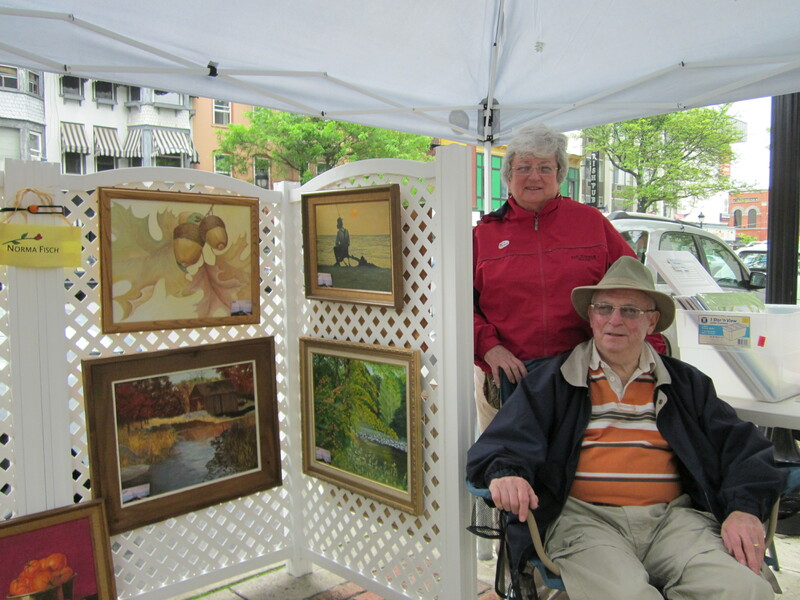 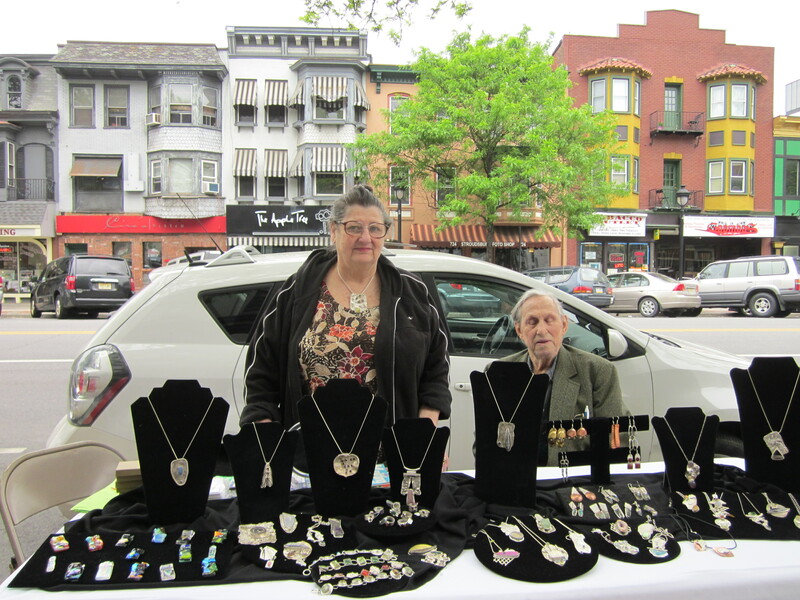 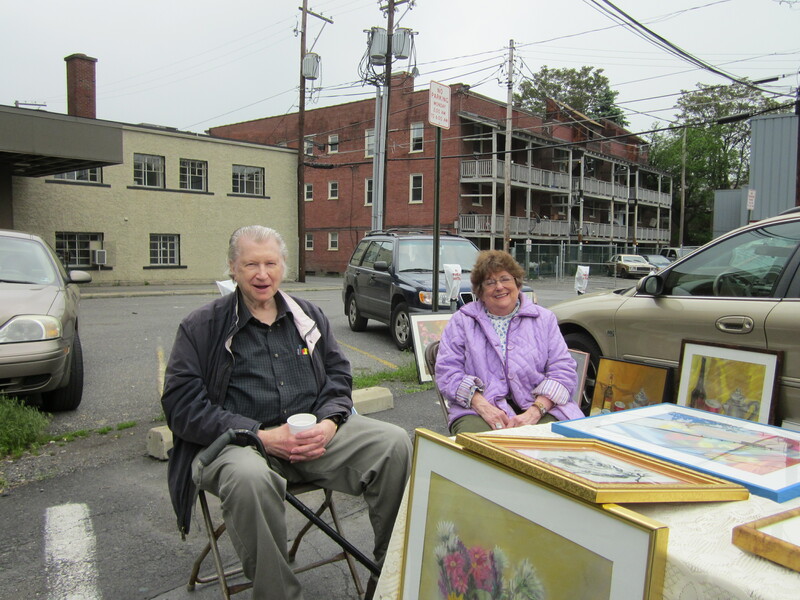 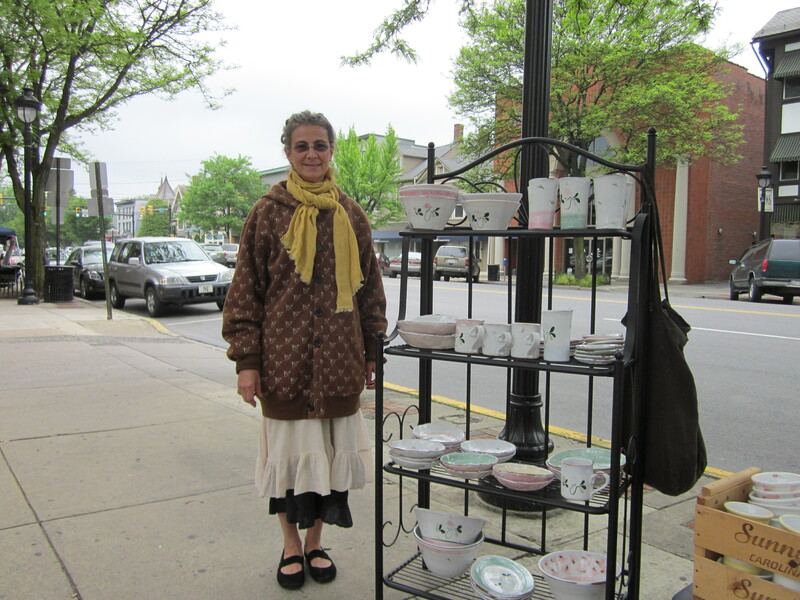 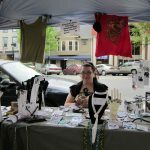 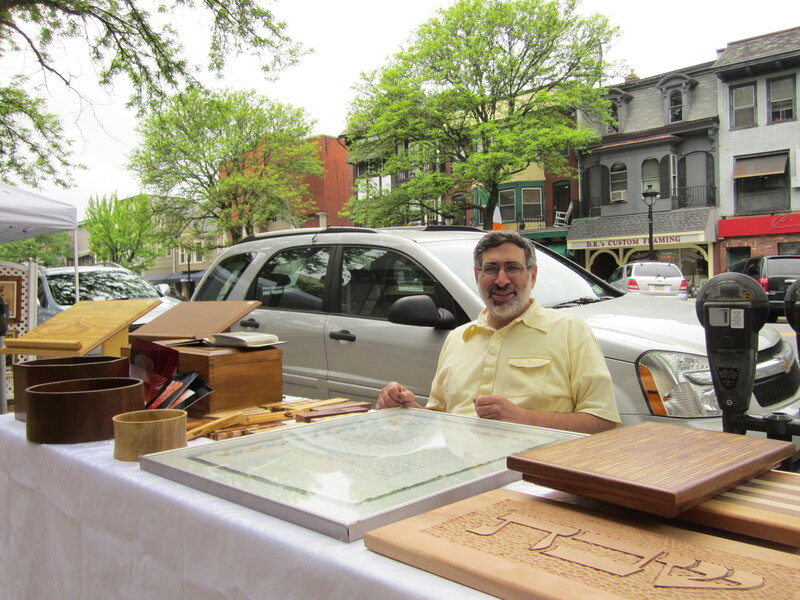 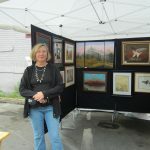 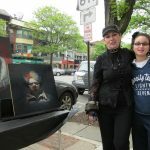 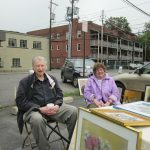 The seven hundred block of Main Street in Stroudsburg was the site of our first NEPA Artists’ Street Fair on Sunday, May 22nd. 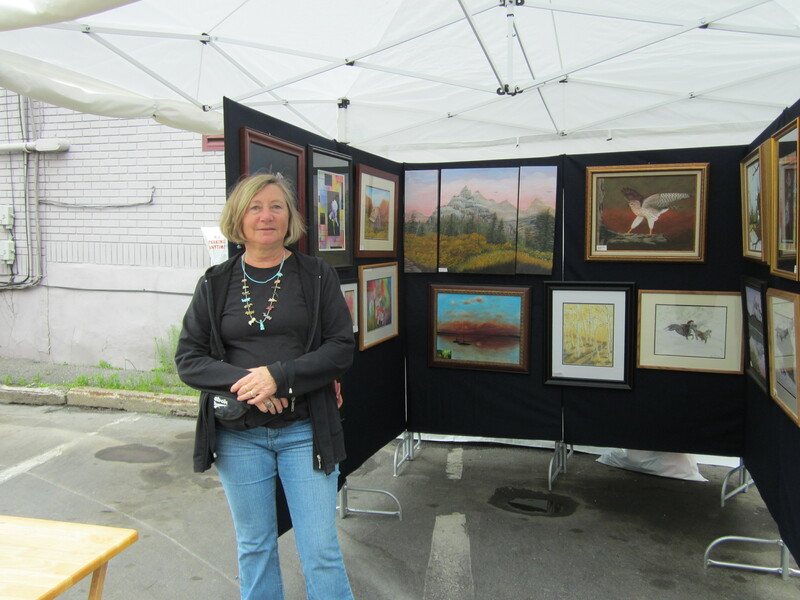 Fifteen (15) diverse and talented artists registered for the Fair to display and sell their unusual and gifted art. 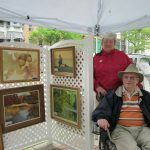 Several painted in oils and watercolors. 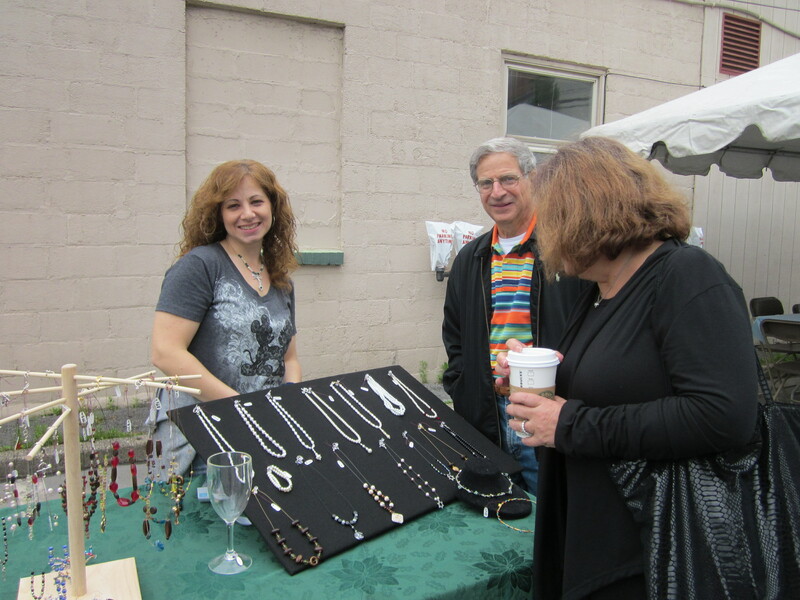 Some worked in pastels, and some created both trendy and classic jewelry. 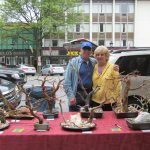 Dramatic photography, fine woodwork and calligraphy as well as quilting and fabulous bonsai tree art were available to appreciate and purchase. 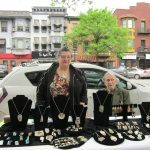 They included Judy and Marty Hamer, Myra Trumpaitzky, Jeff Ganz, Gail Weinberger, Dr.Mel Wolk, Phyllis Vogel, Alex Brodsky, Cassandra Ferrari, Devorah Goldberg, Nancy Pitcher, Norma Fisch, Gesia Rosenberg and Jeanette Szmak. 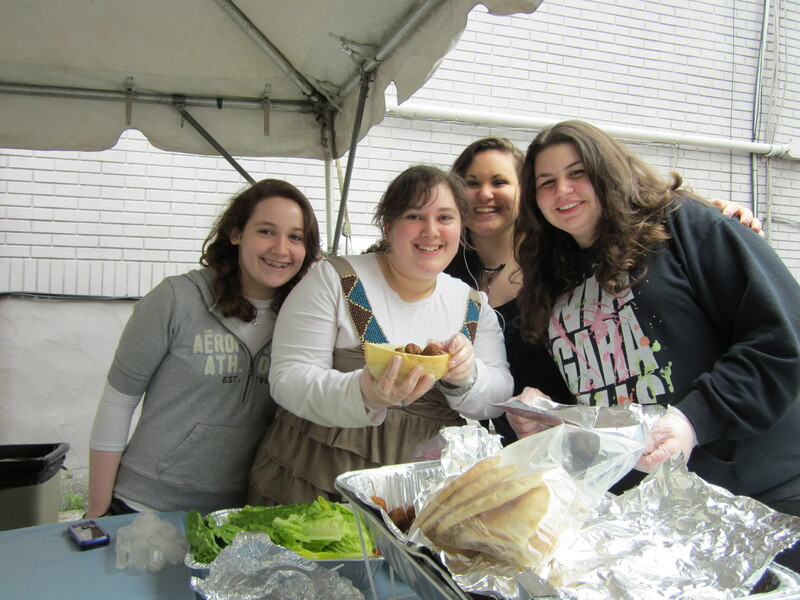 And then there was the kosher food court featuring Middle Eastern selections. 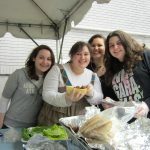 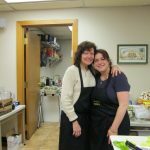 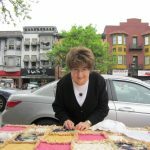 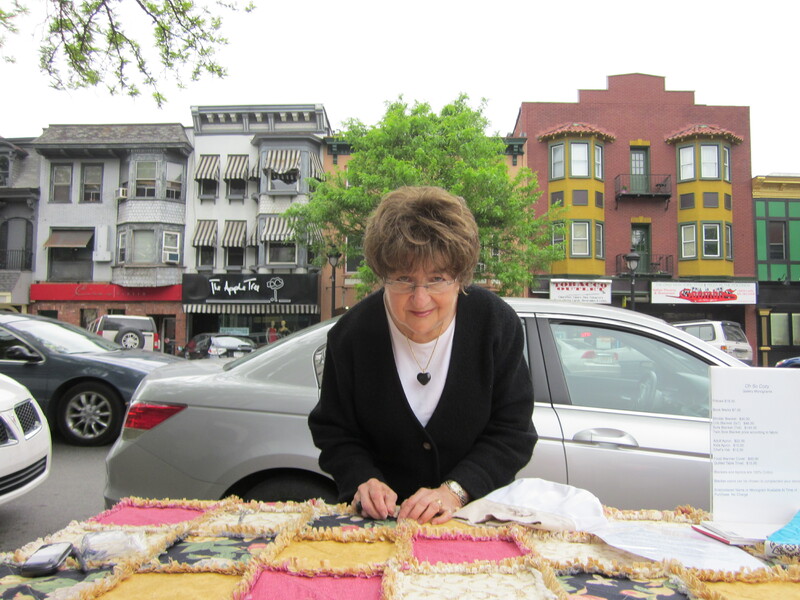 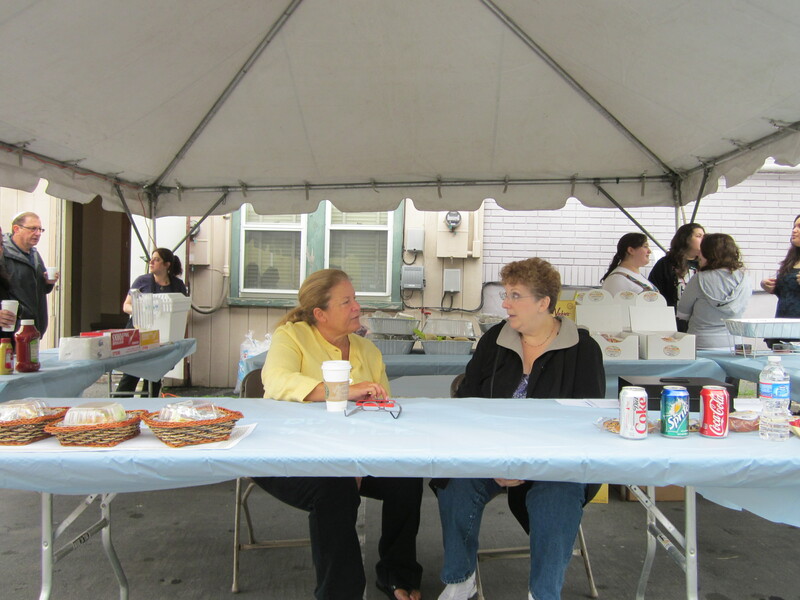 Julie Harter and Betsy Kosmerl led a group of dedicated volunteers including Heidi Cohen, Esther Elefant, Phyllis Harrison, Brittany Cohen, Danielle Cohen, Atara Raven and Miriam Raven. 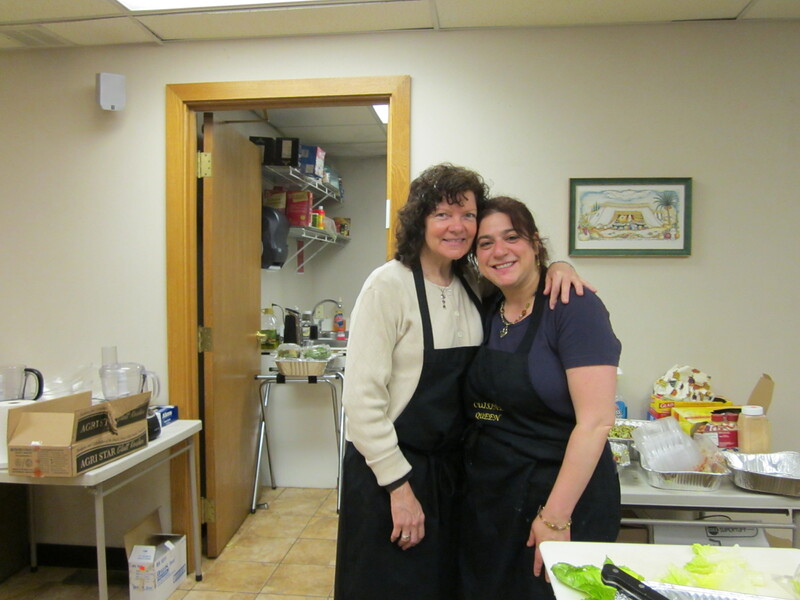 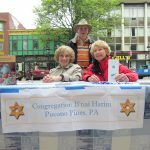 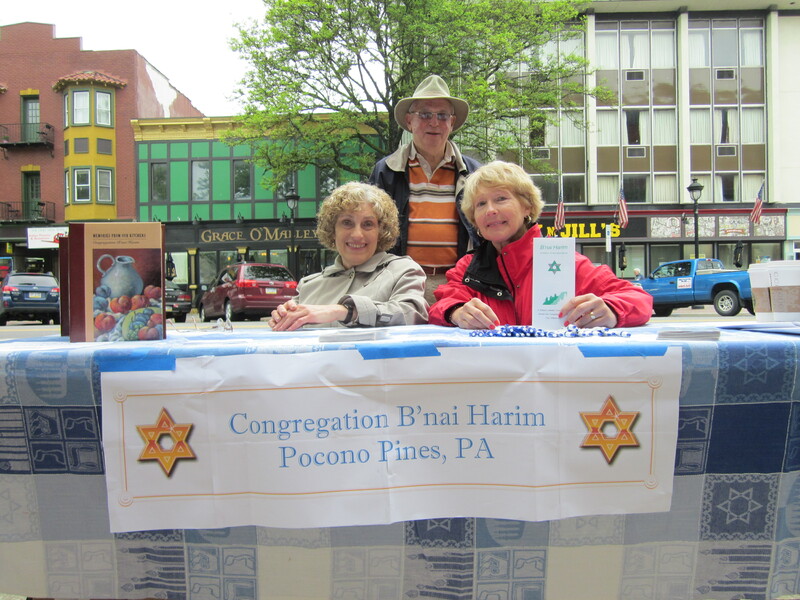 Donna Waite and Barbara Fredericks were our cashiers and Rabbi Yehuda Salkow was available to all. 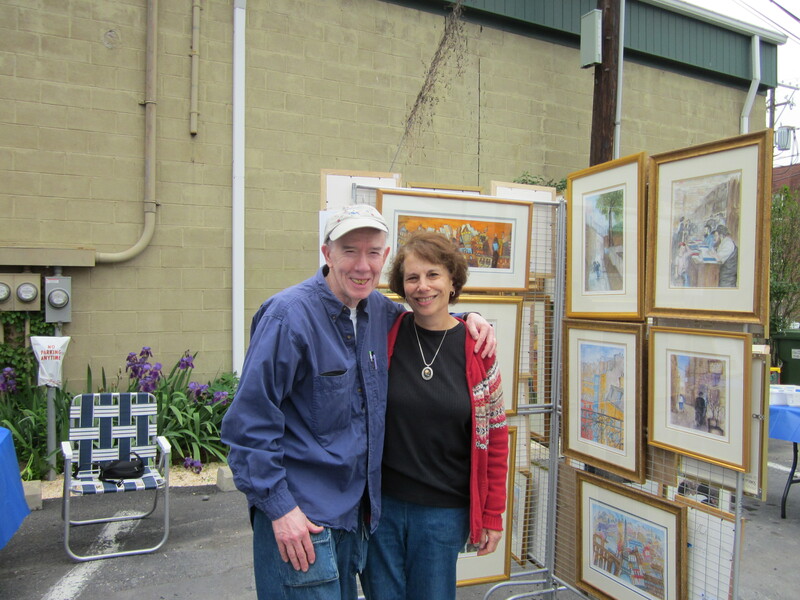 A special treat was the visit of another NEPA artist, guitar virtuoso Ben Barshai of Beach Lake, who graced the kosher food court with an impromptu concert of jazz selections. 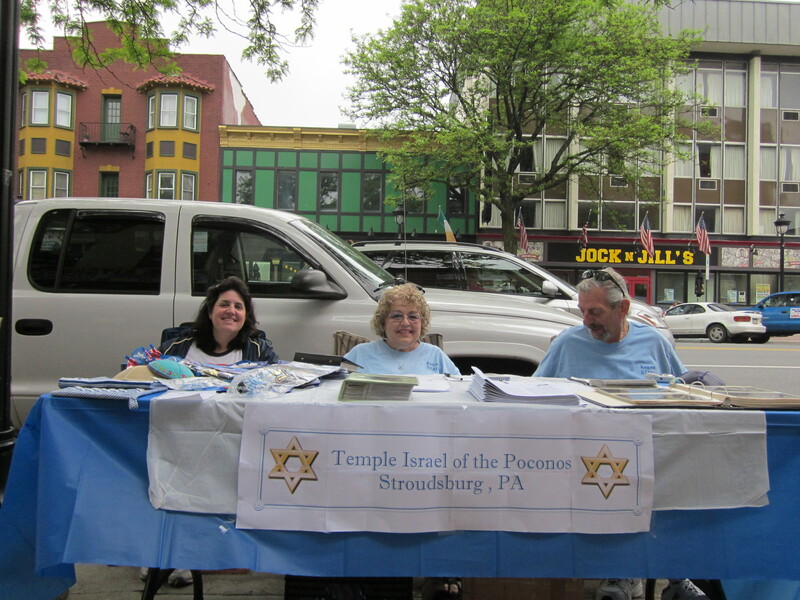 Mark Silverberg of the Jewish Federation of NEPA, Dan Cardonik and Vince Kalinowski of the Scranton JCC had a table on the street advertising the many programs and services that our agencies offered and both Temple Israel of the Poconos (Stroudsburg) and Congregation B’nai Harim (Pocono Pines) had display tables encouraging people to find out more about our local synagogues. 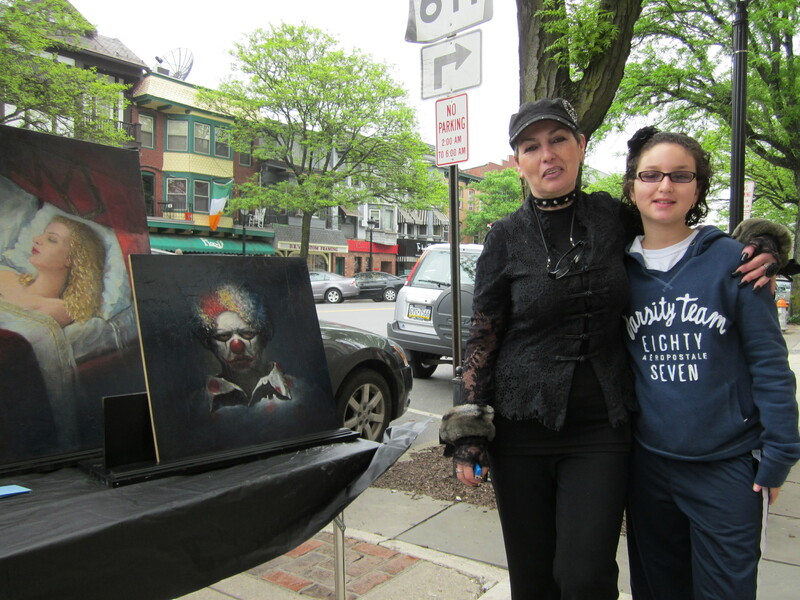 The weather was unseasonably cold, but there was a steady stream of passersby with a number of Scranton families coming to show support. 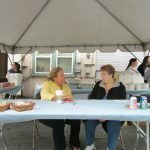 Thanks must also be extended to the group of men and women who came early to set the event and who stayed late to clean up afterwards. 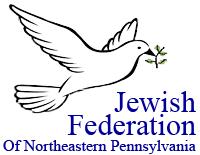 We especially wish to mention the names of our sponsors and to thank them for their participation in our project. 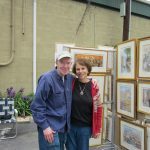 They are the Scranton JCC, Mohegan Sun at Pocono Downs, Mr. and Mrs. Sam Newman, Mr. Richard Berkowitz and the Sherman theater, D.R.’s Custom Design Framing/Art Gallery, Shawnee Mountain Ski Area, and The Journal of the Pocono Plateau.